Her girl-next-door looks got her discovered when she was just a teenager. Fifteen years later, she's one of Italy's top dramatic actresses. Born and raised in Rome, Jasmine Trinca never had intentions of becoming an actress, but she was discovered by a talent scout and fate took over. Trinca's first role was in Nanni Moretti's 2001 drama, La stanza del figlio (The Son's Room.) It's the tragic story of how parents deal with the death of a child. Trinca portrays the role of Irene, the sister of the character who dies in a swimming accident. 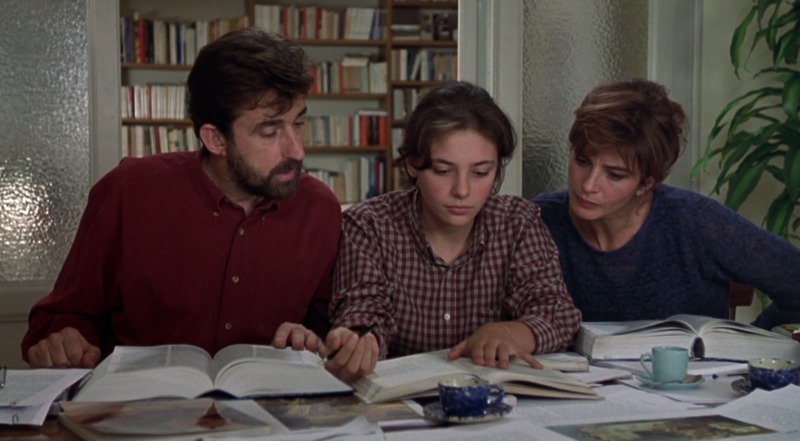 Trinca was just a teenager when she appeared in this film, but her performance was strong as she shared scenes with cinema veterans Laura Morante and Nanni Moretti. Her performance earned her the prestigious Guglielmo Biraghi prize as best new talent of the year. For as much success as she had in that film, she thought her career would end there. 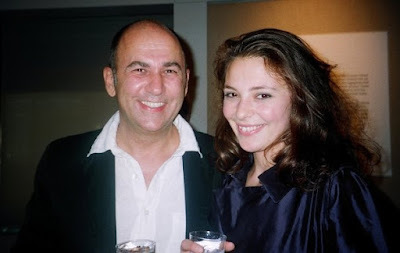 It was only after director Marco Tullio Giordana offered her a role in his epic six-hour film, La megio gioventù (The Best of Youth), that she decided to pursue acting as a career. In 2013, she made two highly acclaimed films: Valeria Golino's Miele (Honey) and Giorgio Diritti's, Un giorno deve andare (There Will Come a Day). In both films, she portrays complex characters, who in a sense are searching for their place in the world. In Diritti's film, Trinca's character ponders the meaning of life through Mother Nature. She is a woman trying to get her life back on track as she sets out on a journey of faith and self-discovery in the vast, colorful Amazon rainforest. According to Diritti, "In order to overcome the pain you experience in your life, you need to find the true meaning of life." 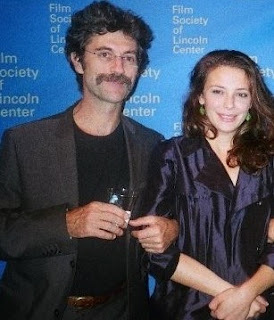 He describes his film as "the story of an Italian girl who begins a physical and spiritual journey in the Amazon rainforest in order to discover the deep meaning of her life, while escaping from her sorrows. Through this experience she will be able to find new hope." The film was so beautifully shot in the Amazon rainforest, the visuals alone would give anyone another lease on life. Last year, she was in two beautiful films- the Taviani Brother's imaginative tale inspired by The Decameron - Maraviglioso Boccaccio (Wondrous Boccaccio), which was a big hit at the Tribeca Film Festival and Sergio Castellitto's Nessun si salva da solo (You Can't Save Yourself Alone) in which she plays opposite Riccardo Scamarcio. Based on a novel written by Castellitto's wife, Margaret Mazzantini, the film is set amidst a series of flashbacks that examine the rise and fall of a relationship. I had the pleasure of talking with Jasmine Trinca in New York recently. Although we just had a quick conversation, we talked about a few of her roles, including two of my favorites, Giorgia in La megio gioventù and Cinzia in Piano Solo. She also told me why she contemplated quitting acting. I never thought that I would be an actress. My dream was to be an archeologist, like Indiana Jones! One day, when I was in high school, a director came to my school searching for two non-professional actors for his film (La stanza del figlio). He chose me as one of the actors, and that was my first experience with acting. This casting of non-professional actors has always been pretty popular in Italy. Yes, I think that a director likes the fact that he or she can find someone who is not professionally trained, and can portray a character in a different way, from a different point-of-view than a classically trained actor. I think that real-life can also serve as a good acting school. More and more directors seem to choose this road, perhaps because it brings a very real feeling to the story and makes the film more interesting to watch. Your second film, La meglio gioventù, was also successful in America, and that says a lot about the film, as 6-hour films aren't so common here. I saw it at a regular theater in upstate New York and the audience was laughing and crying in all the right places. Tell me about your experience working on that film. It really was a great experience for me. The character that I played, Giorgia, is always in my heart. I started acting in 2001 with Nanni Morretti's film, La stanza del figlio. I really thought that I was totally out of the business after that film. I just didn't want to be an actress. It was a beautiful experience, but I wanted to leave it at that. I didn't want to make a career out of acting. I still wanted to study archeology. So I stopped acting and went to college. Then the director of La meglio gioventù, Marco Tullio Giordana, contacted me about playing the character, Giorgia. He told me about her, and I thought that she was really remarkable. I felt that it wouldn't be right to say no, so I accepted the role. Marco and I worked closely to build this character, and in doing so, I realized that acting is in my fabric. It's a part of me. Watch this beautiful scene from La meglio gioventù with Jasmine Trinca as "Giorgia"..
You received a lot of praise for your role in Piano Solo as Cinzia, the girlfriend of jazz musician Luca Flores. What went into preparing for that role? Was the experience different for you because it was a true story? Did you meet with the actual girlfriend of Luca Flores? Well, I had already worked with Kim Rossi Stuart, who played the role of Luca, so I was very comfortable with him. I had already been his girlfriend in another movie! When I began to work on the film, I didn't really know the work of Luca Flores, but in the jazz world, he is known as a master. The first time I listened to his music, it sounded familiar to me, so in a way, I felt close to him, and I was happy about that. This is so important when portraying the characters of a true story. I was really happy to feel that connection. In the beginning, I was a little nervous about meeting his girlfriend, because I know that it must be hard to see your life performed in a movie on the big screen, especially when parts of it were so painful. But she was wonderful and we got along more like friends. She took me for a ride on her scooter and gave me a tour of the city, but I never asked her about her relationship with Luca. It was just important for me to know her and to learn about her personality. In the end, she was pleased with the film. So it turned about to be a great experience for me. Several of Jasmine Trinca's films are available through Amazon and Netfilx, including La stanza del figlio, Miele and La meglio gioventù. The films of Marco Tullio Giordana are important to see because they are based on historic events and give rare insight into Italy's recent history and social movements. La meglio gioventù is available on DVD through Amazon, and is well worth the six hours that it will take to watch it. Wondrous Boccaccio was just released by its distribution company Film Movement on June 21. You can stream it or purchase the DVD here. Last year, she appeared in the film The Gunman with Sean Penn. That film is available through Amazon. Trinca currently has two films in production. She teams up again with actor/director Kim Rossi Stuart in his latest project, L'intelligenza de maschio. The film is currently in post-production and is slated to be released later this year.